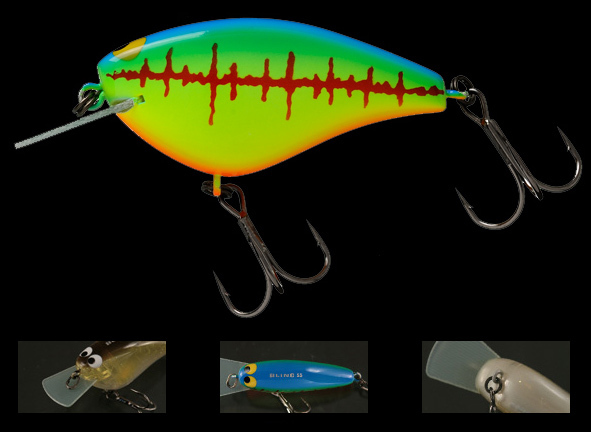 Jackall’s new flat sided crankbait has a custom made fiberglass bill to grab more water and create a faster and quicker wobbling action. Bling has specially designed weight moving system. A ball weight is used so when you cast, it rolls to the tail end of the lure in a tunnel. This allows the lure to cast like a bullet. Then when the lure hits the water it rolls back to the center and attaches to the magnet for the proper balance.